We do things a little differently – our photos do more than tell your story. Each image takes you beyond the frame, allowing you to relive each moment entirely. Our style is cinematic, photojournalistic, editorial, emotional, and above all – real. 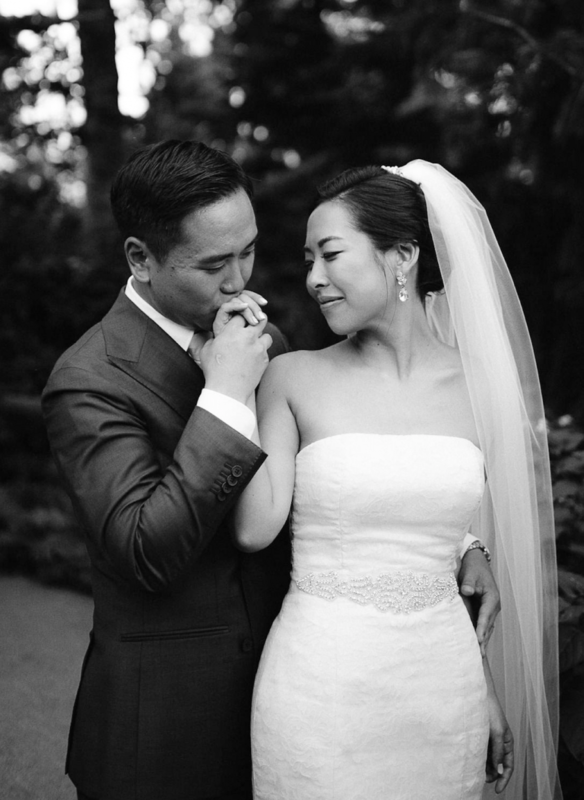 We capture the cinematic Vogue-inspired portraits for your Instagram to be straight fire, the classic candids you and your family want, and all the photojournalistic in-between moments of your wedding day. Scouts’s honor. Denée and Carl are excited about blending their families and cultures with their sentimental and fun side for their wedding. Let's eliminate the feeling of *sides* at a wedding and bring everyone together. An outdoor ceremony, everyone from the kids to the grandparents being together, toasts under twinkle lights, cocktails over sunset, and an epic dance party with a great band. Although they are both performers, they don't want the feeling of performing their own wedding. Living the real, genuine moments and having those captured, especially since they can only be in one place at a time, is the most important to them. Even with a larger guest list of 250 people, they still want things to feel intimate and special. In short, a second photographer allows us to be in two places at once. First Look not your thing? No problem. We'll be able to do your photos after the ceremony while the second photographer will be floating around cocktail hour grabbing all those good candids of your guests. Getting ready in separate locations and want both of your crews captured? We'll tag team so you have photos of both of you pre-ceremony. 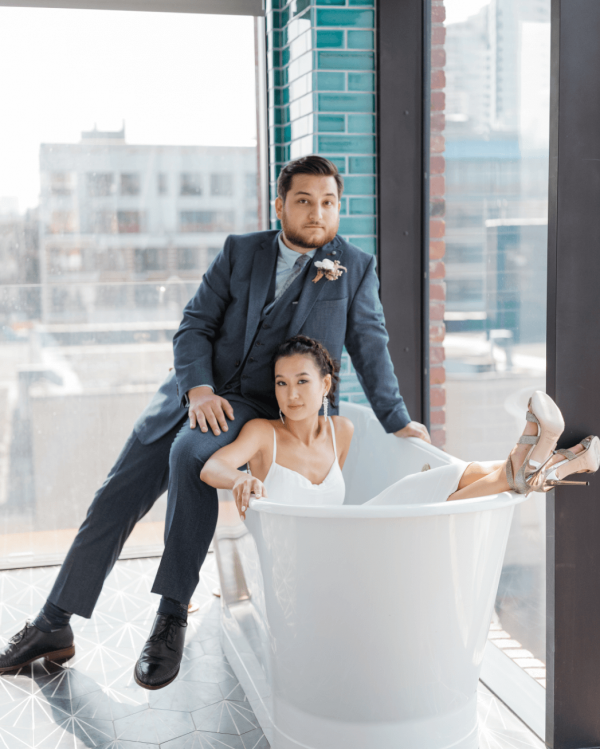 Wanting to keep their wedding lowkey and personal, Boram and Alex got ready at The Williamsburg Hotel with their siblings before doing a First Look + photos in Williamsburg. Of course, we need to shoot in the epic bathtub + blue tiles in their suite. Afterwards, we traveled to the Boathouse for couples photos in Prospect Park before their ceremony. Boram and Alex were able to mingle for 20 minutes at cocktail hour after we did their family photos post-ceremony. The only event at their intimate, family-style dinner was a thank you speech from the couple. After the cake was cut, the dance party kicked off with first dances and ended with a sparkler exit on the lake. 9 hours of coverage, 2 photographers. 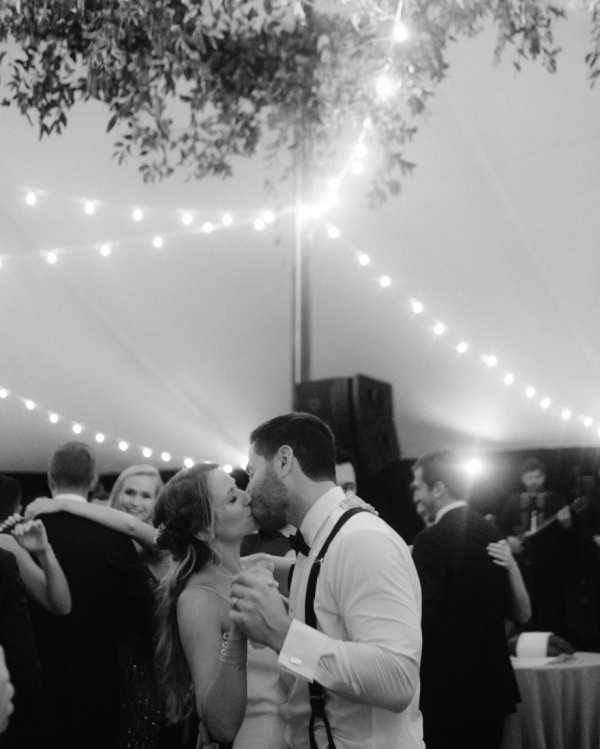 To balance their desire to have an intimate wedding with their parents’ guest list, Sam and Adam chose Hayfield so they could get married outside in a beautiful ceremony and have a party in a tent under the stars. After getting ready nearby, we did their First Look + wedding party photos before the ceremony. A 1.5-hour cocktail hour on the lawn allowed us to sneak away for some sunset photos, do family photos, and for the couple to mingle at cocktail hour with guests. An epic dance party with an 8-piece band followed, where guests dined family-style and listened to some of the best toasts we’ve ever heard. 11 hours of coverage, 2 photographers. 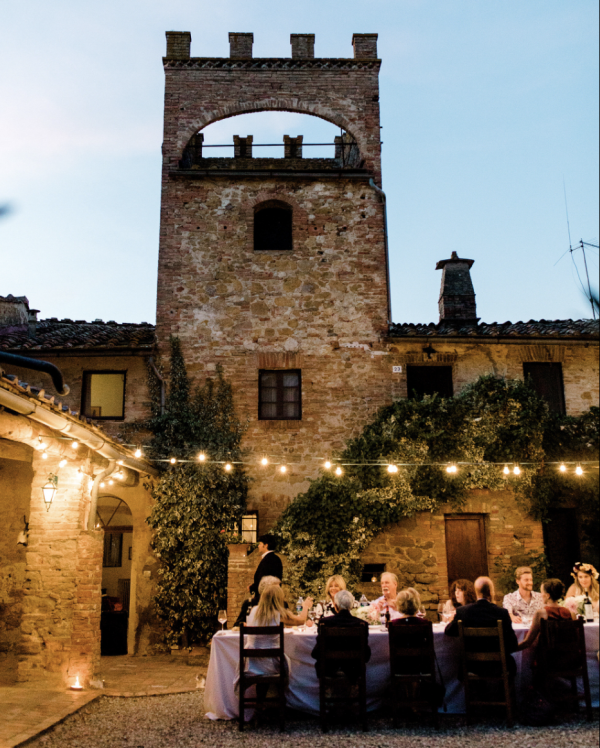 While planning their big wedding of 150 people, Aubrey and David realized that what they truly wanted was to get married in their favorite place in the world — Italy. They cancelled their wedding in New Jersey and eloped with 20 of their closest family and friends. Spending a week before the wedding at a villa, Aubrey (a talented NYC florist) made all of the flowers and the family toured the region. We scouted a spot for the ceremony locale on the day of, keeping things casual and lowkey. A traditional Italian dinner was served al fresco under market lights and then a homemade Spotify playlist kicked off the dance party. Full weekend coverage, 1 photographer. Getting those warm and fuzzy feeling inside? To find out if we are available for your wedding date, send a quick message via the form. Our darling studio manager Clare will get back to you in a day with availability + more details.